Chicago (June 22, 2016) — VelocityEHS, the leading cloud environment, health, safety (EHS) and sustainability software provider, has been selected to deliver presentations on the Globally Harmonized System (GHS) and critical changes to OSHA’s Hazard Communication Standard (HazCom) at ASSE Safety 2016, June 26-29, in Atlanta, Georgia. Two of the industry’s top GHS experts – Glenn Trout, president and CEO of VelocityEHS and Chuck Haling, VelocityEHS VP of Sales – will discuss new and ongoing challenges the GHS transition has created for millions of businesses in the United States. On June 1, 2016 OSHA’s final compliance deadline for its adoption of GHS passed, ending a four-year transition period that brought about a series of modifications to the way chemical hazards are communicated and shared with employees. Unfortunately, chemical manufacturer and distributor adoption delays and selective OSHA enforcement rules have created confusion throughout the supply chain which has left many companies in noncompliance. At ASSE Safety 2016, the VelocityEHS presentations will provide details on OSHA’s changes to its HazCom standard that occurred as a result of its adoption of GHS, and Trout and Haling will answer questions and outline steps safety managers need to take to remain in compliance, especially relating to chemical labeling. VelocityEHS, through its MSDSonline chemical management solutions, helps companies more efficiently manage their chemical inventories and better communicate the hazards associated with those chemicals to their employees. Available through the cloud, the award-winning MSDSonline HQ/HQ RegXR products provide safety managers with easy online access to the industry-leading database of SDS content to ensure they have an up-to-date and compliant library of SDSs. A suite of chemical management and reporting tools streamlines compliance reporting requirements, while an easy-to-use web-interface for employees, ensures right-to-know access to chemical safety and proper labeling information. VelocityEHS recently released two mobile apps for its MSDSonline products – both available through the App Store and Google Play™ – to make chemical safety easier for its customers. Its Chemical Inventory Scanner App enables users to quickly and easily leverage bar-code technology to conduct in-the-field, container-level chemical inventory audits. While its newly released eBinder app gives employees access to chemical safety data sheets information in the palm of their hands through any mobile device whether working on or offline. 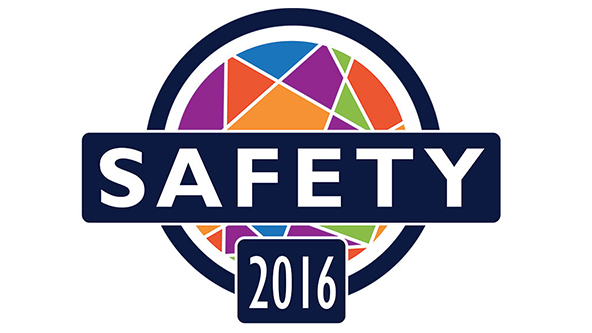 The ASSE Safety 2016 Conference & Exposition takes place June 26-29, 2016 at the Georgia World Congress Center. VelocityEHS representatives will be available at booth #1853 to provide additional information about the company’s full suite of EHS management software and its MSDSonline chemical management solutions. Additional information about the company’s products and services is available on its web sites www.EHS.com and www.MSDSonline.com. Safety professionals unable to attend Safety 2016 but interested in learning more about their HazCom and GHS responsibilities are encouraged to visit www.MSDSonline.com/resources to view its library of on-demand webinars, whitepapers and other resources. To learn more about ASSE Safety 2016, visit http://safety.asse.org.